There is nothing more frustrating than a mid-afternoon phone call from a school administrator telling you your child is in their office. Whether your student has regular behavior issues or they occasionally act out, it can be difficult to manage these dreaded calls. It's also hard for teachers and administrators to make the call. Here are some ways to handle a call about school refusal behavior or other issues. It's hard not to take it personally when the school calls to tell you your child is misbehaving. Sometimes it feels like they're questioning your parenting, when the reality is they are just doing their due diligence to keep you in the loop. Take a deep breath and lead from a place of logic -- not emotion. You can accomplish more by staying calm. Gather as many specific details as you can from the administrator. What are the exact circumstances where your child acts out? Is it happening at the same time every day? What discipline has taken place at the school? Take notes during the phone call; you're bound to be a bit flustered and writing things down means you can review them later with your child without having to rely on memory alone. The most important outcome from a teacher-parent phone call regarding behavior is to figure out what is triggering the behavior. It could be interacting with a specific student or the anxiety created by a particular class. When you identify triggers for bad behavior, you'll be better able to figure out ways to mitigate it in the future. You may not be able to put a stop to every trigger, but once they're on your radar you can help your child work through them. 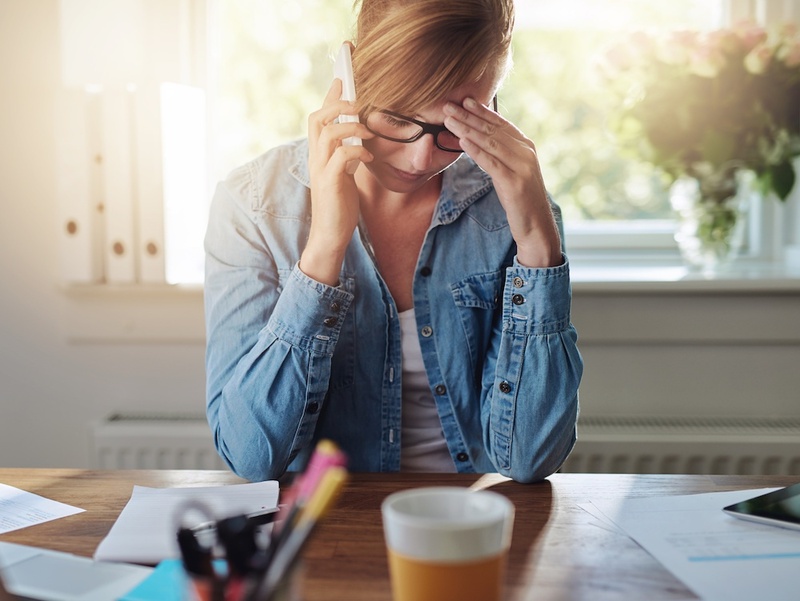 Getting a dreaded phone call from school can ruin your day -- but it may also shed light on why your student comes home grumpy from school or has been complaining about their teacher. Use it as an opportunity to improve your child's experience at school and all is well that ends well!